Two weeks left to change the world? Everyone is gearing up for the big Financing for Development summit in Addis Ababa that is less than two weeks away now. Formal negotiations on the text of the Addis Accord were meant to end on June 19 in New York, but continued through last week as UN member states hadn’t been able to reach an agreement in time. Unfortunately, even after this extra week of discussions, they still haven’t. As we’re waiting for this stage to finally conclude, the question everyone is asking is: after all these hours of discussions, are leaders on track to agree on a credible financing plan that can achieve the post-2015 promises and put an end to extreme poverty? The good news is: the text of the Addis Accord includes specific outcomes focused on the poorest people in the poorest countries. The less good news is: references to these deliverables are getting weaker in each iteration of the text. Eradicating extreme poverty and leaving no one behind by 2030 is an ambitious – yet achievable – objective. To make it happen, world leaders must raise, not decrease, the level of ambition and put their money where their mouth is. 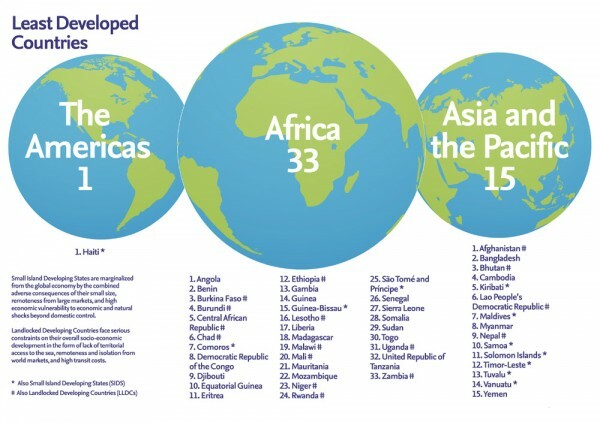 The draft accord includes a reference to a new target to allocate half of Overseas Development Assistance (ODA) to the least developed countries (LDCs) – the poorest countries where half of the world’s extreme poor are projected to live in the next fifteen years. LDCs have been de-prioritised in recent years with a drop in aid and less than a third of global aid currently being directed to them. A commitment to give 50% of international aid to the world’s poorest countries alongside the commitment by donor countries to spend 0.7% of national income on global aid would be a game-changer in ensuring that the poorest countries get sufficient support to lift their people out of poverty, especially girls and women for whom life is significantly harder than in other countries. 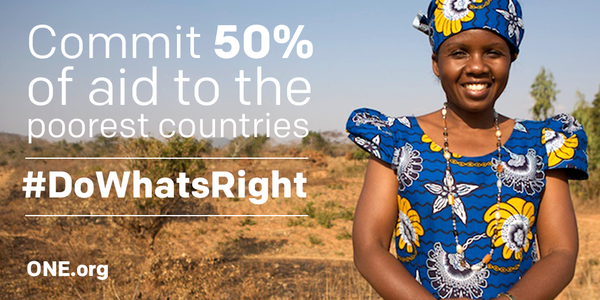 A growing number of donor countries are getting behind this pragmatic, positive and sorely needed target to get aid to the countries that need it the most. 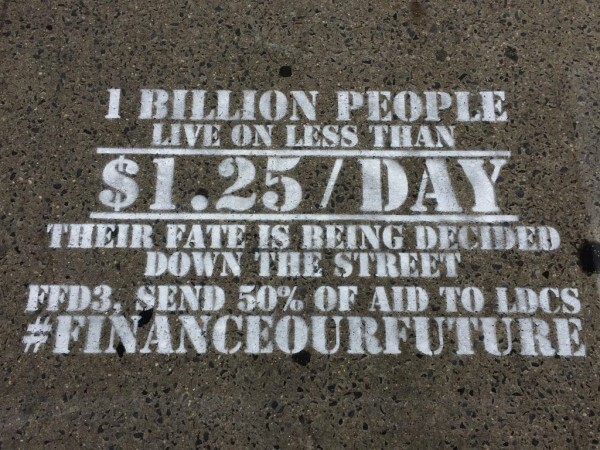 Belgium and Ireland already committed to allocating 50% of their aid to the poorest countries and other donors are considering it. They should now show leadership and come out in favour of the target ahead of the meeting in Addis. It is not only about aid. Developing country governments should also increase domestic revenues towards ambitious revenue targets through implementing fair tax policies and work with development partners to curb corruption and stem illicit flows. For that, citizens must be able to ‘follow the money’ to hold governments and companies to account. The best way to ensure financial accountability is to champion transparency. This can be achieved through public country-by-country reporting by multinationals on their taxes and profits in each country where they operate, as well as public information about who owns companies and trusts to crack down on money launderers. However, although the current Addis text includes good language on transparency, it prescribes that country-by-country reporting and beneficial ownership information should be made available to competent authorities, and not to all citizens. This must be corrected. Citizens must be given this information to ensure their governments use domestic resources to meet their needs. If aid is focused on the poorest countries and domestic revenues are boosted, governments will be able to mobilise sufficient resources to deliver a new social compact to provide essential services for all, as referred to in the Addis Accord. To make this a reality, developing countries should make sure they set national plans to deliver this social package, including minimum spending levels on essential services. On their side, donors should ensure sufficient aid is allocated to support these plans. And last but not least, Addis must deliver a data revolution. The latest Addis draft presents a good basis for a much-needed data revolution. The lack of data available to map where the poor actually live and what their needs are makes too many efforts inefficient. In Addis, governments must make meaningful commitments to deliver and finance a data revolution in order to ensure that everyone is counted and we can track resources to results. Click on the image to Tweet to world leaders today! This year is not one for business as usual. If leaders are serious about ending extreme poverty, they must prove that they’ll do what it takes to get to that last mile. Let’s make sure they do! 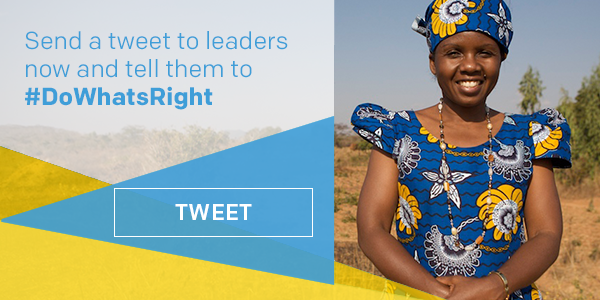 Go on Twitter now and tell them to #DoWhatsRight at #FFD3!